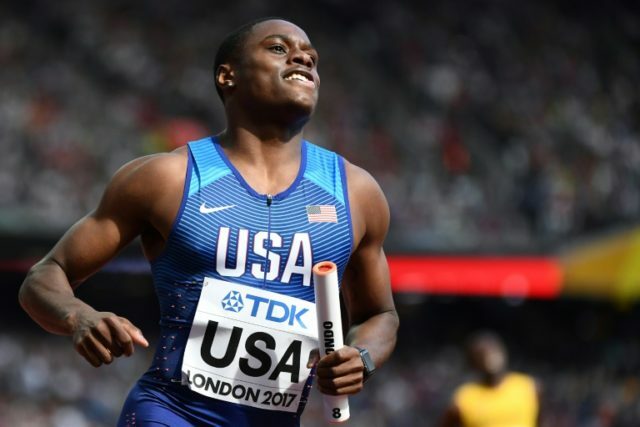 Los Angeles (AFP) – World 100 meter silver medalist Christian Coleman opened his 2018 campaign by breaking the 60 meter indoor world record on Friday at the Clemson Invitational track meet. The 21-year-old American charged to victory in the final in 6.37 seconds to surpass the previous record of 6.39 held by compatriot Maurice Greene. Coleman’s previous best was 6.45 seconds at last year’s US collegiate indoor championships. The meet at Clemson University in South Carolina was the first event of the season for Coleman. Earlier in the day he ran a time of 6.47 seconds. Tevin Hester, of the US, was second in 6.57 while Warren Fraser of the Bahamas finished third with a time of 6.69. Last year, Coleman also ran a 9.82 100 meters which stood up to become the fastest time of the 2017.